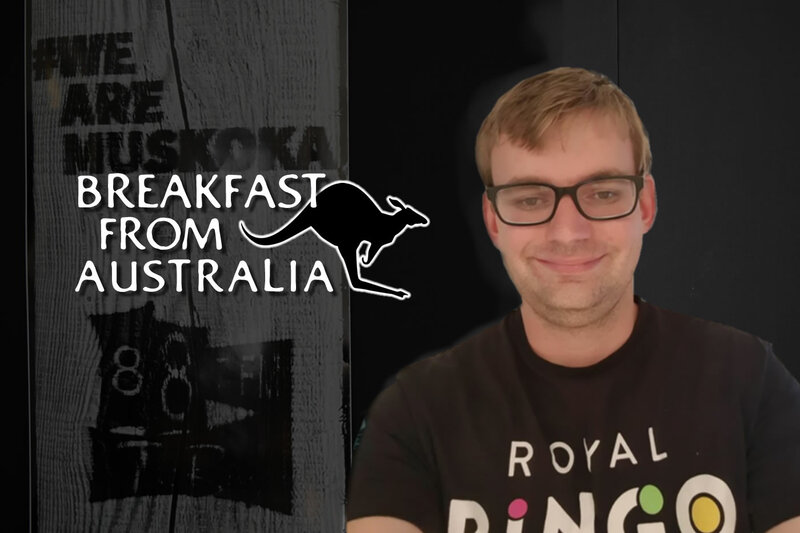 BREAKFAST FROM AUSTRALIA airs SATURDAYS 9 a.m. with Awesome Aussie Host Corey Barnett broadcasting from DOWN UNDER to UP OVER here. Corey plays a variety of Canadian music plus music popular down under. Hi my name is Corey Barnett. I Am 27 years old and I was born in Sydney Australia have been in Commercial/Community radio since I was 11 years old. If you would like to hear a eclectic mix of Australian, Canadian & Music from around the world then make sure you dont miss my radio show that comes all the way from Australia every Saturday morning from 9am. "Breakfast From Australia" on The Bay 88.7 FM. Australian Fun Fact: No we dont see Kangaroos in our backyards.